If you are using Great Plains 8.0 you can download the Payroll Tax Update (Round 4) file by clicking here. Keep in mind that this script was developed for version 10, but runs just fine on version 8. 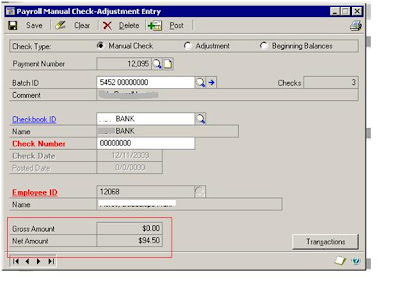 How to post Payroll Manual Transaction where Gross Amount is Zero. 2) Call back transaction by entering Payment No. 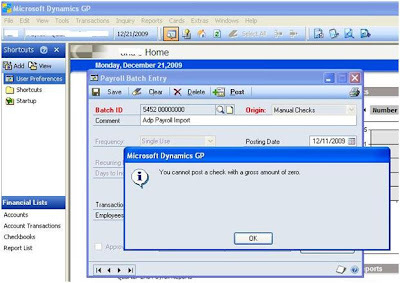 Microsoft announced late yesterday that are adding Position Control to HR & Payroll. A brief description from the release is below.